Found in 2005 and acquired by IBM in 2013, SoftLayer that provides fast and secure cloud solutions for Big Data, digital marketing, e-commerce, gaming, private cloud, and reseller hosting. The company was the first in the industry to integrate network-within-a-network topology within a secure, global network where the customer could personalize the use of firewalls and security solutions. 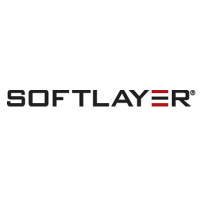 SoftLayer offers a wide range of storage and backup services, including the ability for companies to select the ideal level of security, reliability, and flexibility. Basic storage options allow for built-in index and search to retrieve large amounts of unstructured data including email, invoices, financial records, and more. The tagging, searching, and indexing capabilities provided by SoftLayer make it an optimal choice for long-term storage. More comprehensive storage options like SoftLayer’s EVault Backup give administrators the ability to create a backup schedule and target full system backups or specific files. All backup files are replicated multiple times within SoftLayer’s global storage clusters to immediately restore data in case of drive malfunction. 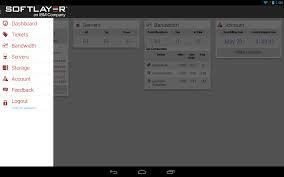 Additionally, SoftLayer’s replicated data minimizes wait time and boosts performance by reducing the demand on any single server. Businesses looking to protect their data through cloud storage without long-term contracts are attracted to SoftLayer due to its hour-to-hour or month-to-month payment options. Businesses with international branches will benefit from SoftLayer’s 13 different server locations and data security features that are located around the world. Many businesses have reported annual savings by implementing their flexible storage, auto-scaling storage options. Learn everything you need to know about IBM SoftLayer. Our experts will reach out to you shortly.